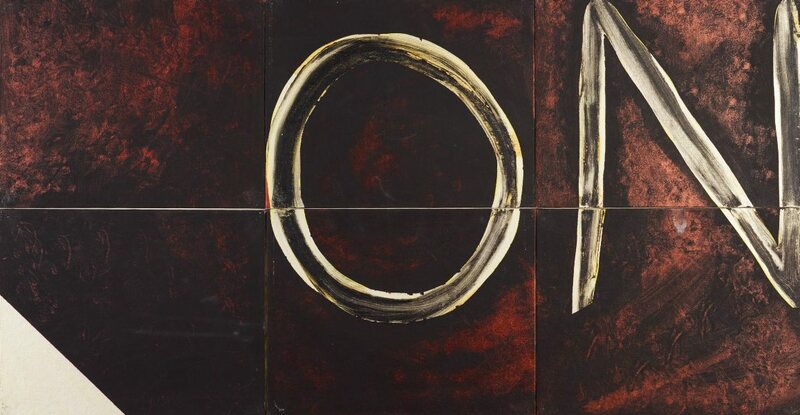 This painting is from 'The book of power' series of multi-canvas appropriation works which Imants Tillers began in 1981 and still continues. 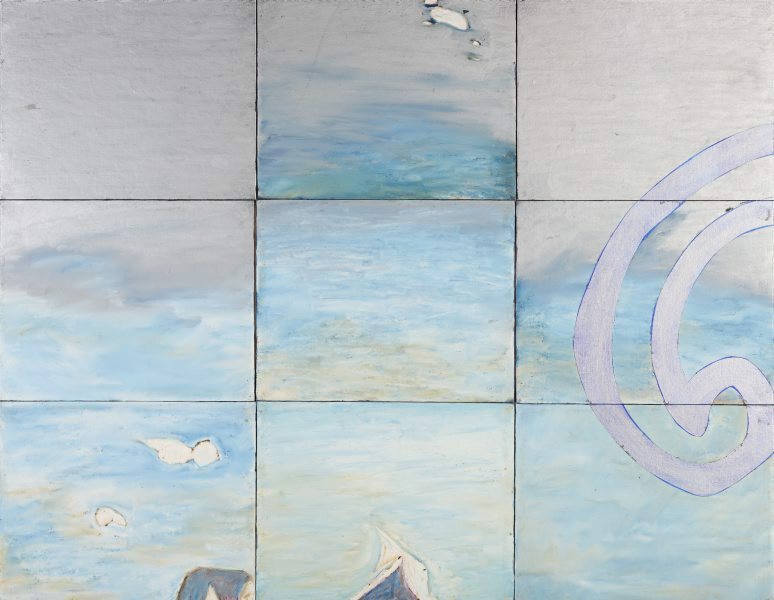 Tillers cites the work of other artists to question authorial originality, how images circulate and to investigate ideas about location and place. 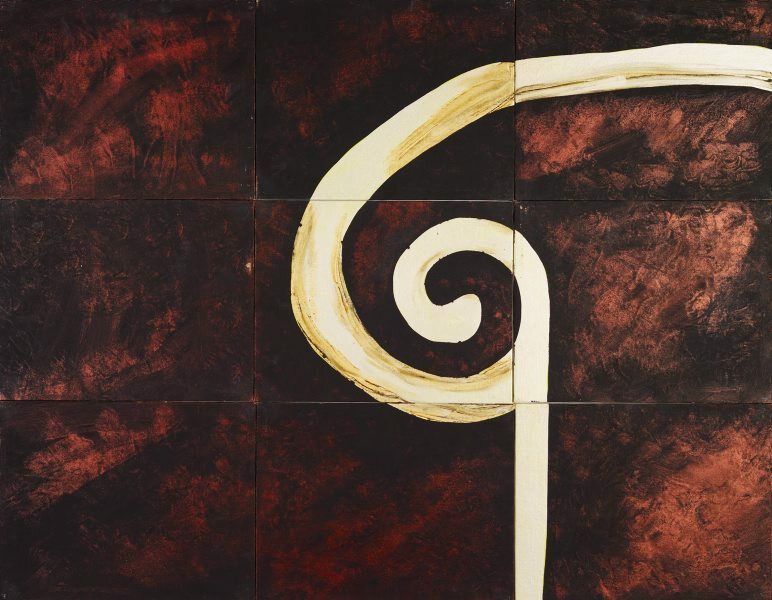 The numerals 1, 2, 3 are taken from 'Koru, 1, 2, 3' 1965 by New Zealand modernist painter Colin McCahon. 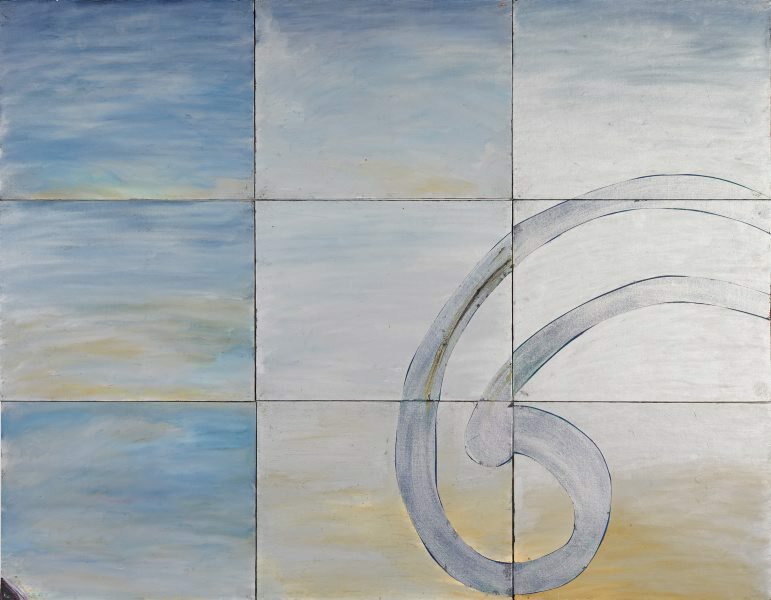 Tillers has overlaid the McCahon work onto a landscape of Lake Wakitipu in New Zealand by colonial artist Eugene von Guérard. He has added a third appropriation, the signature of Italian artist Giorgio de Chirico. De Chirico's reuse of his own early 20th-century imagery, in works he painted much later, is an example of the cultural recycling that fascinates Tillers. Landmarks , Katoomba, 2017, 18-9 (colour illus. ), 21. 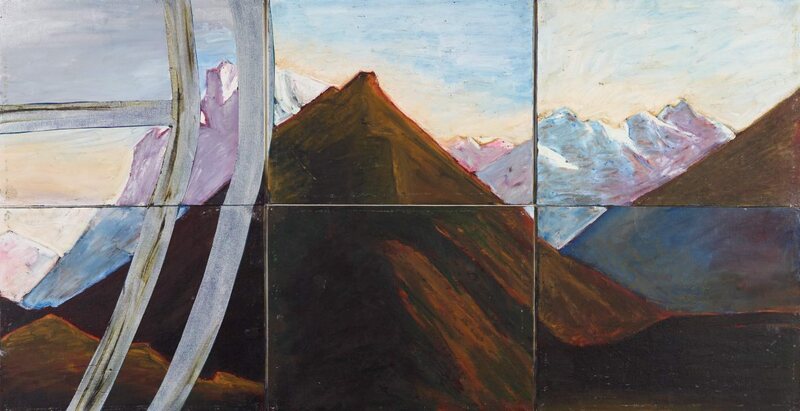 The Postmodern Art of Imants Tillers: Appropriation 'en abyme', 1971-2002 , London, 2002, 173-174, 173 (illus.). Imants Tillers and the 'Book of Power' , Singapore, 1998, 96 (colour illus.). 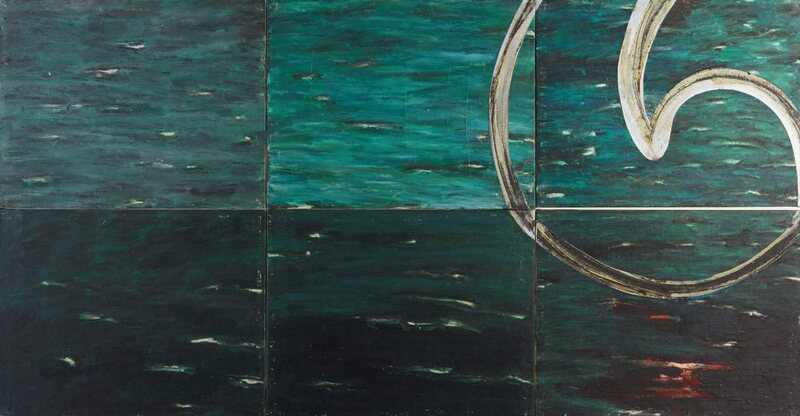 William Dart (Editor), Art New Zealand , 'Imants Tillers in Wellington', Jenny Harper & Imants Tillers interview, pg. 52-55, Auckland, Winter 1989, 52 (illus.). 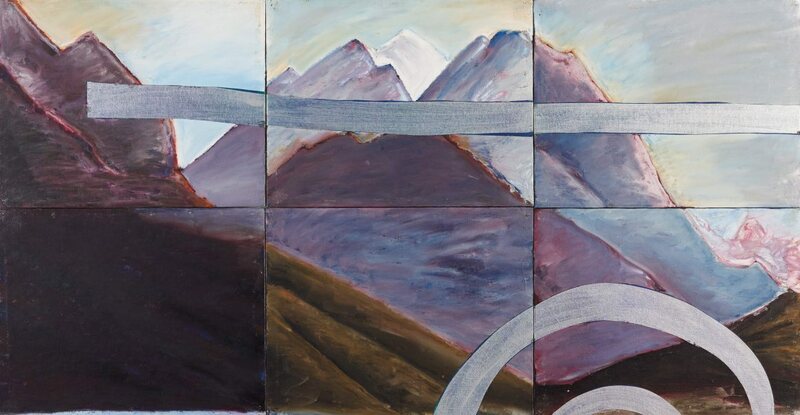 Towards Infinity: works by Imants Tillers , Mexico, 1999, 51 (colour illus.). 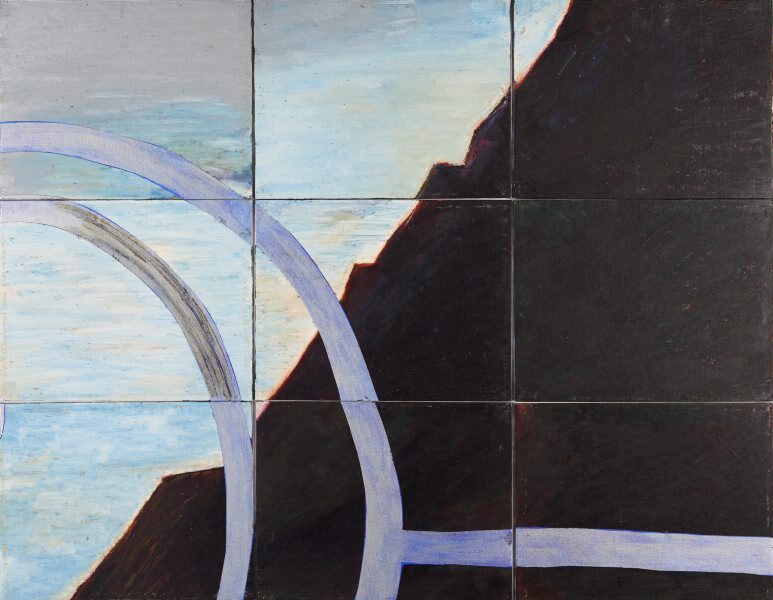 Unknown, Imants Tillers: 19301 , 1989.